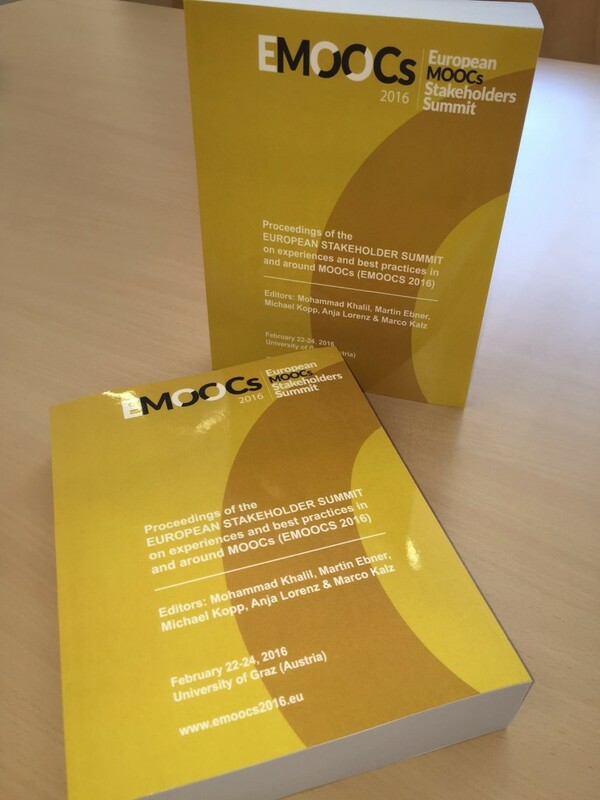 Timley, just one week for conference start the „Proceedings of the European Stakeholder Summit on experiences and best practices in and around MOOCs (EMOOCS 2016)“ are online. Enjoy a huge number of research publications and experience reports as well as some posters in the end. Of course we will love if you visit us in Graz to great discussions on MOOCs. We would like to invite you to the eMOOCs conference 2016, which will be from 22nd to 24th of February 2016. It will be hosted in cooperationy by the University of Graz and the University of Technology Graz. The official website is already online and the Call for Paper will follow in the end of june. You are warmly welcomed to a beautiful place as well as a great event – stay tuned. It’s a great pleasure to announce the Call for Papers for next year eMOOCs conference. The Stakeholder Summit will be held on 18-20 May 2015 at the Université catholique de Louvain campus in Mons (Belgium). Massive Open Online Courses (MOOCs) and other open education concepts innovate learning: Universities are opening up education to online users and making their learning resources freely accessible. This raises many questions, e.g. how to integrate formal and informal learning settings, how to support the masses of students, and how to monitor their learning progress. The research track aims to feed the general debate on MOOCs with underpinning scientific data.